Zane Copeland, Jr. was born on the 11th July 1982 in Yonkers, New York City, USA. 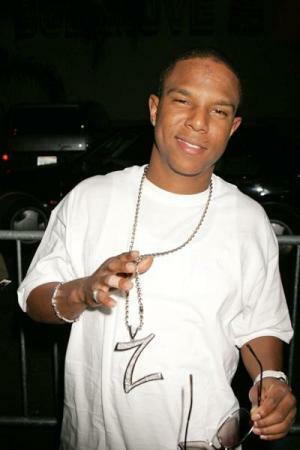 He is a hip hop artist as well as an actor better know as Lil Zane, who rose to fame after releasing his first album “Young World: The Future” (2000). It should be noted that both music and acting have added revenues to Lil Zane’s net worth. He has been active in the entertainment industry since 1993. So how rich is the rapper and actor? It has been reported that the outright size of Lil Zane’s net worth is as much as $2.5 million, as of the data presented in mid-2016. To begin with, Zane was interested in music since his childhood. He was impressed by works of the bands Kriss Kross and Another Bad Creation. At first he was rehearsing with his cousin, and later became a member of the band Kronic, until in 1996 when he decided to pursue a solo career. Three years later, he went on tour with the band 112. Concerning his solo career, “Money Stretch” (1999) was the first single released by Zane. This and another single “Callin Me” (2000) were listed in his debut studio album “Young World: The Future” (2000) which managed to reach 4th position on the Billboard R&B / Hip-Hop Albums chart, and has been the most successful studio album released by Zane, so far. In 2003, he released his second studio album entitled “The Big Zane Theory”, although it only reached 39th position on the Billboard R&B / Hip-Hop Albums chart. A year later, Lil launched a record label called 3 Mill Entertainment. He was planning to release the album “Under the Radar” featuring such rappers as Rich Boy, Akon, John B, Real Young and others, but postponed the release and then decided not to release it at all. In 2006, “Tha Return” album was released, yet it failed to appear on music charts. In 2016, he is planning to release another studio album “No Love Lost’” which it is believed will increase the total size of Lil Zane net worth. Moreover, Zane has added sums to the overall size of his net worth by landing roles in various films and television series. In 1999, he appeared in the sitcom “The Parkers” created by Ralph Farquhar, Sara V. Finney and Vida Spears, and a year later landed a role in another sitcom “Girlfriends”, created by Mara Brock Akil. The same year, Lil had a small role in the drama film “Finding Forrester” (2000) directed by Gus Van Sant, then appeared in the main cast of the feature films “The Fighting Temptations” (2003) by Jonathan Lynn, “Motives” (2004) by Craig Ross Jr., “Cuttin’ da Mustard” (2008) written and directed by Reed R. McCants, and “A Day in the Life” (2009) written, directed by and starring Sticky Fingaz. It is worth mentioning the fact that Zane studied at St Andrews University in 2007, but is yet to graduate. Finally, in the personal life of the hip hop artist and actor, he is apparently still single, although in 2010, his daughter Nina was born. In 2014 he suffered from kidney failure, but has since recovered. Music Groups "Kronic", "Kriss Kross", "Another Bad Creation"
2 Former member of kiddie rap group Kronic. 3 He released two albums, both of which were blasted by critics for his blatant imitation of Tupac Shakur. Dr. Dolittle 2 2001 performer: "Lookin' For Love" / writer: "Lookin' For Love" - as Zane Copeland, Jr.